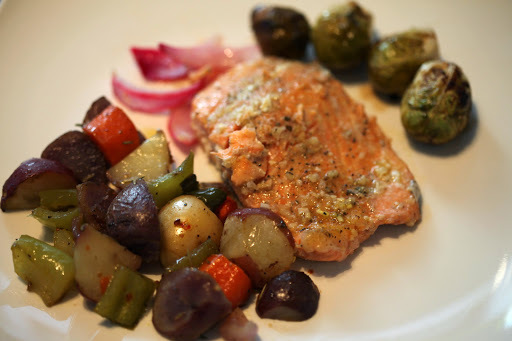 Steelhead Trout with Sauteed Vegetables. Anytime I can get my hands on fresh fish, I do. 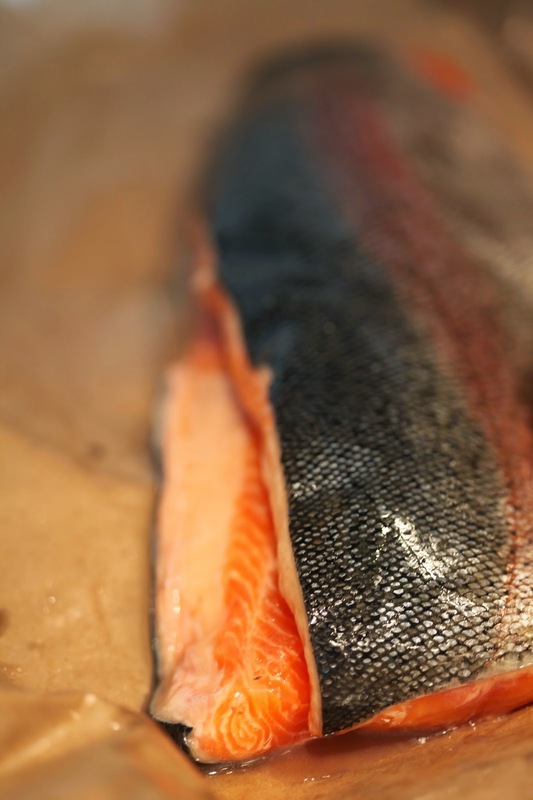 On this occasion, I had purchased some steelhead trout from the public market along with some vegetables to prepare a simple, rustic meal. 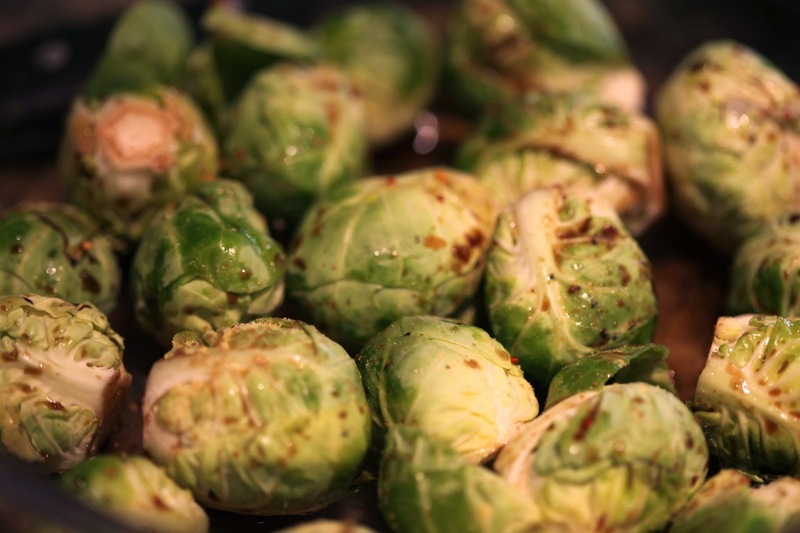 For this dish, I cooked up some brussel sprouts with balsamic vinegar in one pan. I covered the pan and kept the temperature on medium to allow these to slowly cook and soften. 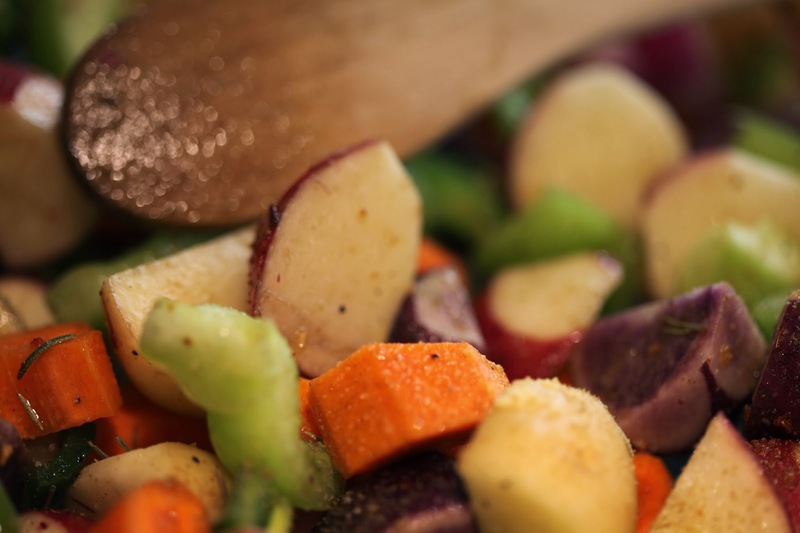 In another pan, I sauteed some cubed potatoes, with green bell peppers and carrots with olive oil, garlic, rosemary, and seasonings. 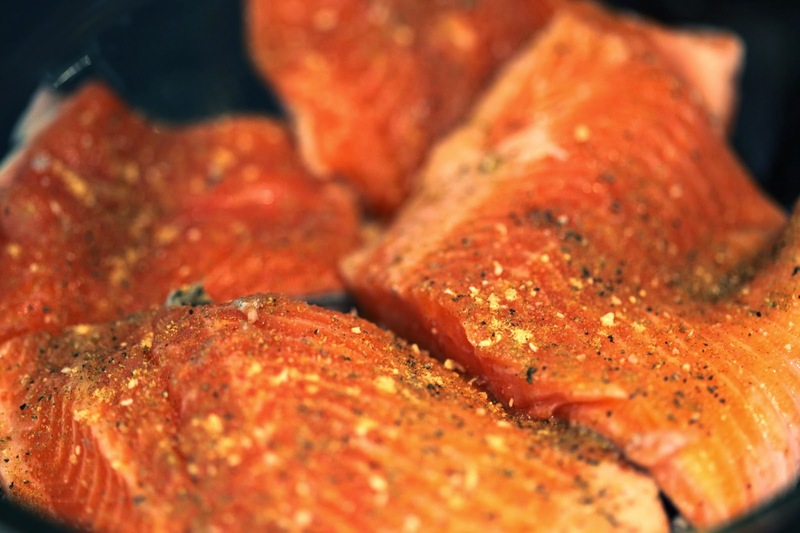 Then, in the oven I cooked my steel head trout in a very simple marinade of garlic, soy sauce, honey, ground ginger, coriander, salt, pepper, and onion. I added some red onion to the glass dish and let it bake at 400 degrees for about 20 minutes until cooked thoroughly. A tasty and healthy meal with great leftovers. ← Pasta with Turkey Sausage and Mushrooms in Wine Sauce.